SUPERIORE spent the last weekend in September at the Interior Design Show in Vancouver, the largest design fair on North America’s west coast, with our distribution partner, Euro-Line Appliances. 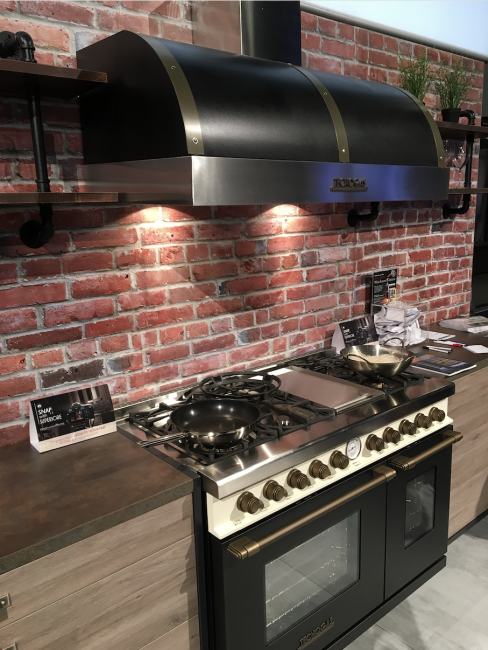 Our beautiful 48” DECO range in Matte Black Dual Color with Bronze Trim and 48” DECO barrel style hood in Matte Black with Bronze Trim were featured in the booth, making a statement against a brick wall backdrop – a dramatic Canadian trade show debut of our DECO collection! 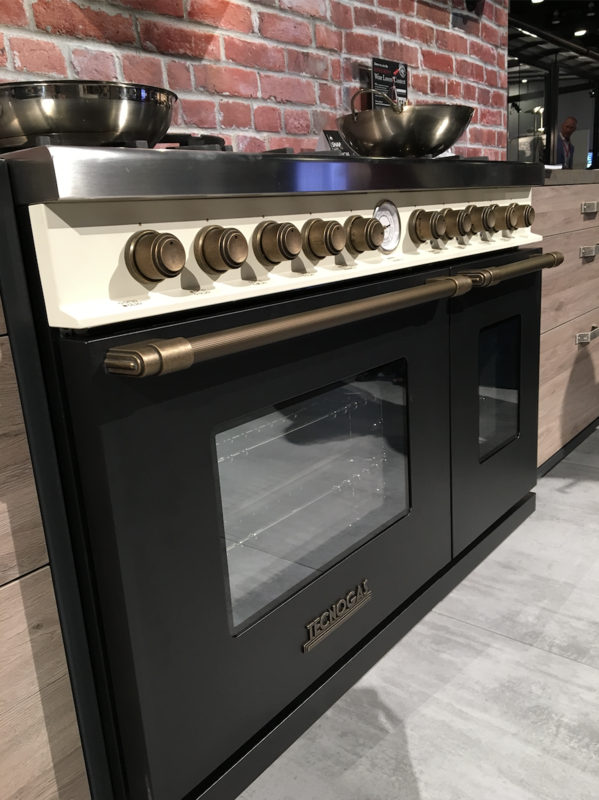 Attendees at the show were able to get up close and personal with our DECO line, seeing first-hand how the textured matte color pairs perfectly with the refined, cast metal knobs and handles. The Dual Color control panel of the range also brings another element of elegance to the overall range design. 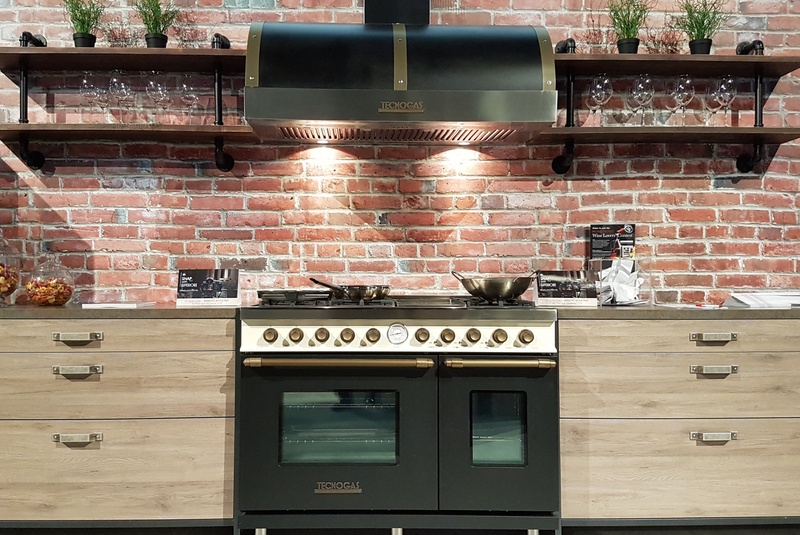 More than just style, the 48” DECO range also comes with two large capacity ovens, six gas brass burners and a griddle. Paired with the barrel hood, this SUPERIORE combination allows users to cook like a professional chef without compromising on sophisticated design. Stay tuned for news on SUPERIORE’s next trade show venture, when we head back to the west coast for WestEdge Design Fair in Santa Monica, California. Our DECO collection is available in four matte colors, three trim finishes, two sizes and now two fuels – all gas and dual fuel self-clean. To view the full line, click to see our selection of ranges or hoods.